Professor Daisaku Higashi, Associate Professor and Deputy Director of the Research Center of Sustainable Peace at the Institute of Advanced Global Studies, University of Tokyo, shared his experiences and thoughts on the importance of ensuring inclusivity in rebuilding states and also gave an overview of the activities of the Peace Building Commission. The first seminar on inclusivity in rebuilding states took place on 6th June 2013. 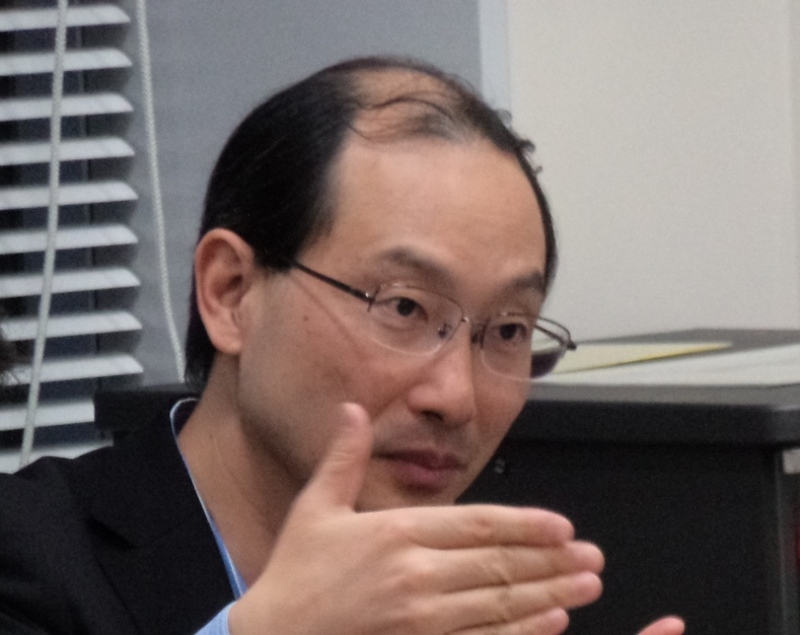 According to Professor Higashi, inclusivity lends legitimacy to the process of state-building in post-conflict countries, while exclusion can incite spoilers. He pointed out that while it is important to include as many different political groups in the peacebuilding process, when it comes to mediation, it is often better to just have select groups involved so that there can be a coherent negotiation process. He also referred to the importance of the UN not labeling groups as “terrorist” too easily, as it then becomes difficult to include such groups in negotiations. Another lesson learned was the importance of outside powers not unduly fragmenting an insurgency (as in the case of Syria) since at the time of settlement it is usually desirable to have a unified opponent with which to advance peace negotiations. Professor Higashi explained that a key insight to emerge from the second Seminar on Inclusivity in Rebuilding States held on 22 April 2014 was that although security sector reform (SSR) tends to focus on the numbers of military and police personnel and the quality of their equipment and training, there needs to be more emphasis placed on making SSR inclusive. Different ethnicities and/or political groups could be included by such means as a quota system. The General Assembly resolution on mediation adopted in 2014 underlined the salience of facilitating interaction between concerned parties and other stakeholders, as well as the need for inclusive national processes in the implementation of agreed outcomes of the mediation process. 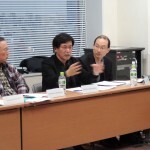 Finally, Professor Higashi spoke of the Peace Building Commission (PBC) which was established in 2006. 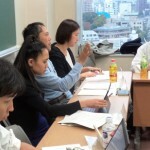 PBC’s Working Group on Lessons Learned (WGLL), which Japan chairs, selects one topic for discussion for the entire year. Challenges to peacebuilding discussed by this forum include maintaining financial sustainability of UN missions and promoting an inclusive political process. Professor Higashi concluded by stating that the success stories of UN’s peacebuilding, such as Cambodia, East Timor, and Sierra Leone should be disseminated further for learning and encouragement. Comments and questions were heard from Professor Takaaki Mizuno (Kanda University of International Studies), Professor Satoru Kurosawa (Kyoritsu Women’s University), Ms. Emmi Okada (United Nations University/University of Tokyo), Ms. Seiko Toyama (Secretariat of the International Peace Cooperation Headquarters, Cabinet Office), Ms. Fujiko Amano (Ministry of Foreign Affairs), Mr. Jason Prat (Embassy of Afghanistan) and Mr. Takaya Furukawa (Hosei University). The session was wrapped up by Professor Sukehiro Hasegawa who reviewed the main points discussed in the seminar and gave his own views on the subject. The seminar was followed by a social gathering at a nearby restaurant for those who could attend. 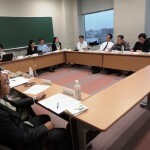 This website shows the activities carried out by Professor Sukehiro Hasegawa, former Special Representative of the Secretary-General for Timor-Leste and his colleagues, friends and students. 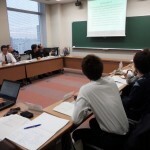 This website was established by Mr. Norimasa NOGUCHI in 2008. 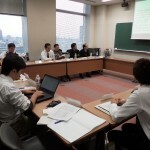 It is now managed by Mr. Shogo YOSHIDA, who was one of Professor Hasegawa’s sixth seminar class students at Hosei University. Please forward any inquiry or suggestions to: admin[@]shasegawa.com.